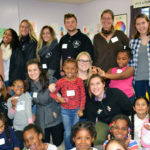 The Schenectady County Community College Student Volunteer Organization (SVO) went to work this November putting gift bags together to donate to Fostering Futures NY (FFNY), a non-profit program in the Capital Region that provides support to foster families. 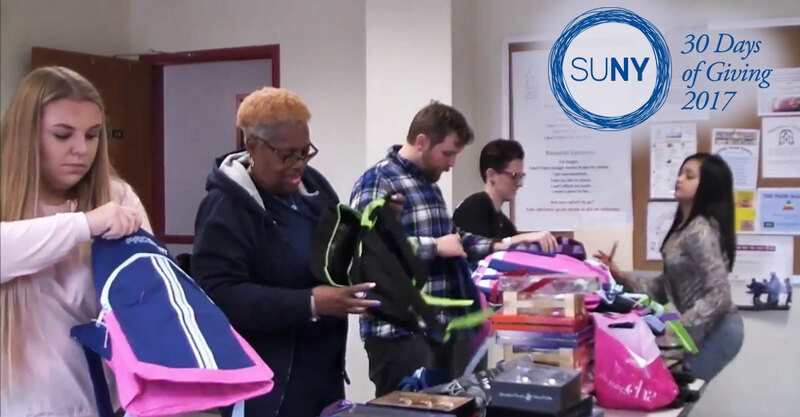 Students in the SVO, with their advisor Professor Renee Adamany, assembled 18 gift bags for local foster parents, filling SEFCU donated back packs with perfume/lotion gift sets, chocolate and water bottles, and jewelry for the women and socks for the men. Each gift bag also includes a cozy scarf knitted by Sheri Bergeron of the College Store. Students raised money through a raffle on campus to purchase the items that will bring holiday cheer to foster parents. Professor Adamany discusses the foster care system and the importance of foster parents in her Introduction to Social Work class and through the club. She is on the Advisory Board for FFNY and brought the idea for the project to the club with the students jumping on board to assemble the gift bags as a service learning project. 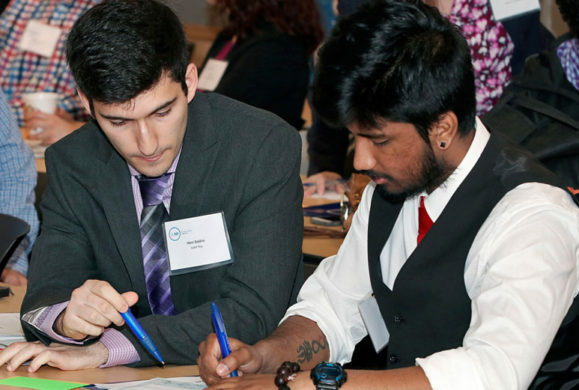 “The students have a passion for foster families and really enjoy contributing to improving the lives of these families,” Professor Adamany said.